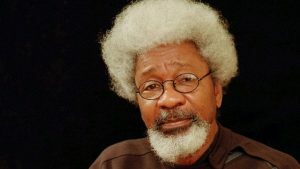 Nobel laureate, Wole Soyinka, on Monday labelled those operating social media accounts in his name as ‘identity thieves’, claiming he doesn’t operate such accounts. Prof. Soyinka made the condemnation at a press briefing organised by the Wole Soyinka Foundation at Freedom Park, Lagos Island as part of the Foundation’s initiative to seek public support for its Study Abroad In Lebanon, SAIL, programme. “They created a Wole Soyinka blogspot or whatever. There is also Wole Soyinka Twitter. Please, I am begging you (journalists) to note that I don’t do Facebook, I don’t do Twitter and I don’t do blogs. “I implore you in the name of whatever it is you believe in to help squash them,” he said. “Please note that they are fake. 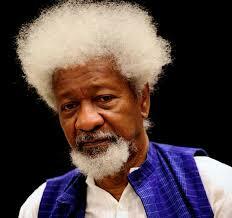 There is only one Wole Soyinka Foundation,” he added. The Nobel laureate warned the public not to fall prey of the activities of the fraudsters. Some of the participants in the study programme were also unveiled at the press briefing, with Soyinka revealing those shortlisted for this year’s edition of the programme are writers, but next year’s edition would focus on journalists. He also solicited governments at all levels to support the initiative as the programme will go a long way in broadening the horizon of the successful participants. The SAIL programme is a partnership between the Wole Soyinka Foundation and Cedars Institute, Notre Dame University, Lebanon. The programme would enable participants interact with their peers from other countries in a bid to enrich their perspectives.